In the blue light of dawn, I walked the empty streets of Bombay Beach, past crumbling houses and rusted boats until I was at the shore of the Salton Sea. As the sun came up, the water turned gold and the mountains burned pink. Pelicans beat their wings and took flight in the still air. And then, as the sunrise turned to daylight, I looked down and saw the carpet of decaying fish at my feet. I wasn’t standing on sand. This beach was made of bones. When I first came to the Salton Sea, I was like so many writers who had come before me: Just another artist, eager to pick at the husk of a place in its death throes. I wanted to walk amongst the ruins of abandoned harbors, recoil from the stench of rotting fish, gaze out at the vast Salton Sea and wonder what went wrong. But then a funny thing happened. I fell in love with it. 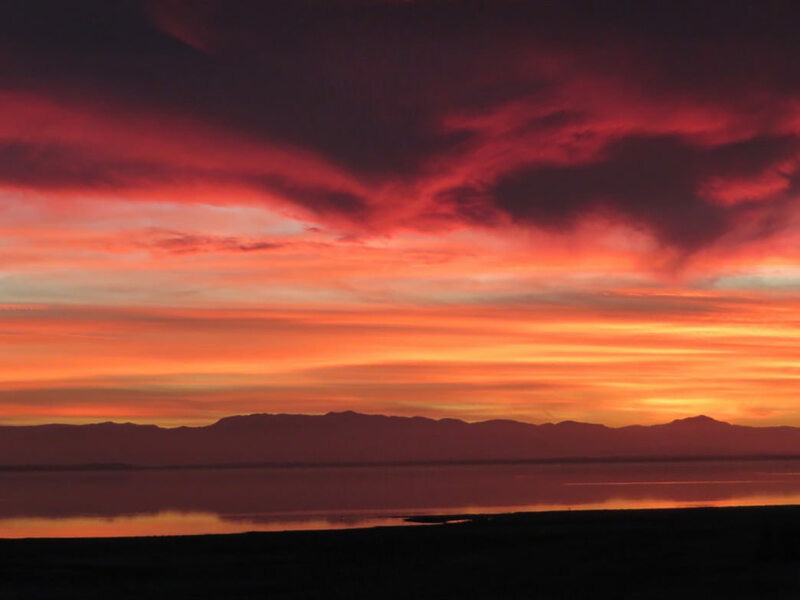 The thing that no one tells you about the Salton Sea is that it’s beautiful. People talk about the shrinking shoreline, deserted motels and that odor which can be best described as what the ocean would smell like if it had gone bad. But they don’t tell you that the Salton Sea looks like an infinite, sapphire blue ocean in the desert. 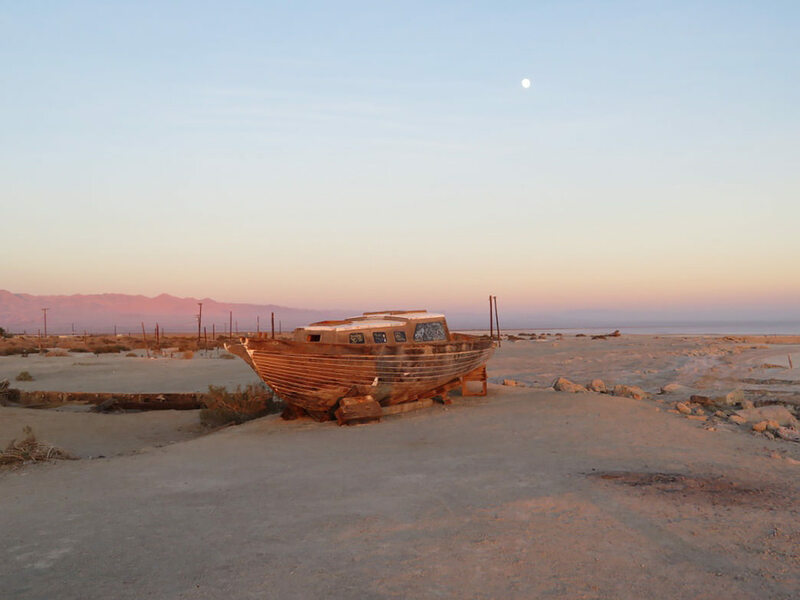 At approximately 376 square miles, the Salton Sea is the largest lake in California—a fact that never ceases to amaze the surprising number of people who have never heard of it. Located directly on the the San Andreas Fault in the Colorado Desert about 130 miles inland from San Diego, the lake rests in the Imperial Valley, one of the poorest parts of California. According to recent USGS data, the current surface level is -235 feet with an average depth of around 31 feet—though these numbers are constantly changing as the water evaporates. 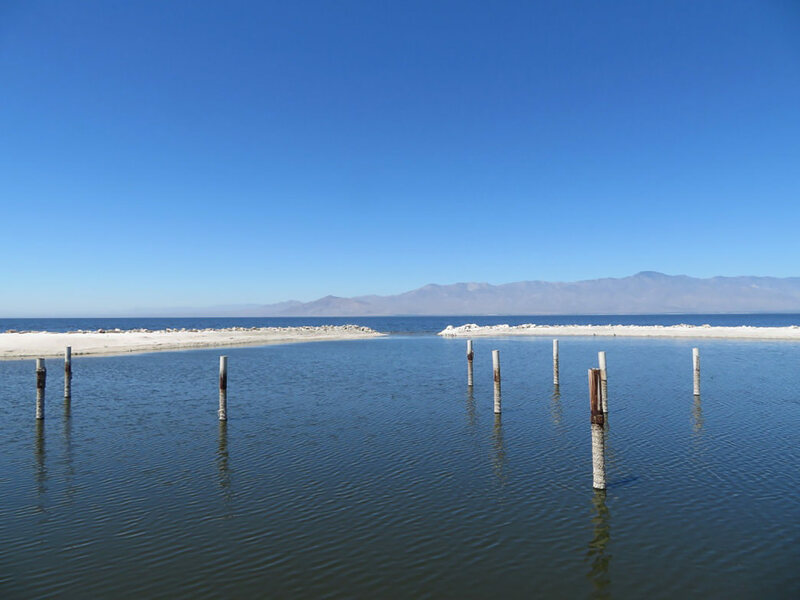 The Salton Sea is a terminal lake, meaning that everything that goes into it stays there. And as the sea shrinks at a rate of 3% per year, its salinity level, which is already about 50% higher than the ocean, rises, making the Salton Sea as dangerous as it is alluring. To understand what’s going on at the Salton Sea today, you have to understand how the massive body of water got there in the first place. In the spring of 1905, flooding of the Colorado River caused water to burst through farmland irrigation channels in the Imperial Valley. Over the course of 18 months, the Salton Sea was formed. It was originally 45 miles long and 20 miles wide. Despite the devastating loss of entire communities, agricultural developers saw the sea as a solution for their irrigation drainage needs. The tourism industry saw an opportunity too. They would bring lakeside luxury to the desert. Freshwater fish were introduced, but when they couldn’t handle the salty water (which got its salinity from the minerals of the desert floor), they were replaced with saltwater tolerant varieties, including tilapia, which still live in the Salton Sea today. One developer even tried to introduce sea lions into the Salton Sea, but they died. 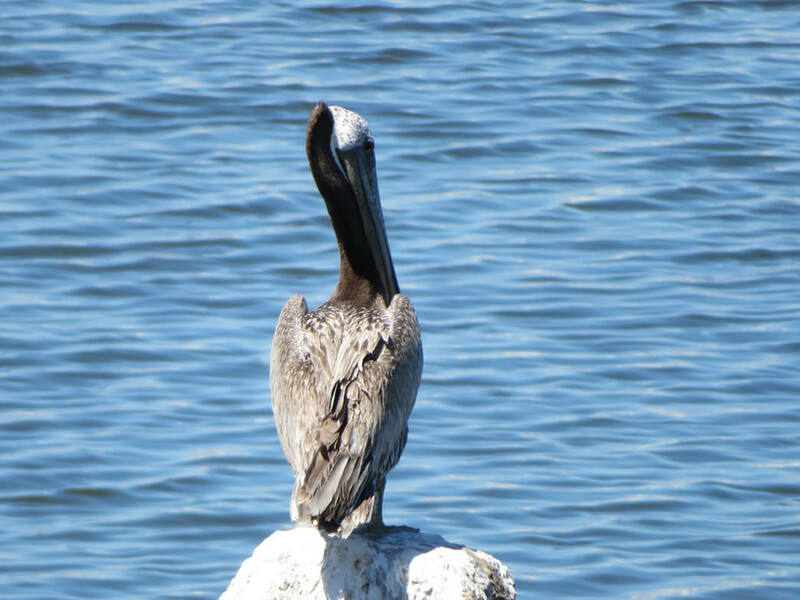 Eventually, 400 different bird species flocked to the Salton Sea including pelicans, geese, and even bald eagles. In the 1950’s, a yacht club and cocktail lounge sprouted up at North Shore Beach, the so-called “glamour capital of the Salton Sea.” In Salton City, on the west shore, real estate developers sold 32,000 homes in just six years. A golf course and marina were built, attracting the likes of Frank Sinatra and The Beach Boys. At the height of its popularity, visitation numbers to the Salton Sea exceeded that of Yosemite National Park. However, the agricultural runoff brought salt-rich soil into the lake along with pesticides. By the 1970’s, rising salinity levels caused fish—and tourism—to die. By the 1980’s, the beachside communities were ghost towns. Even the hardy tilapia began to die. In a single day in 1999, 7.6 million fish died. The reason for what would come to be known as summer die-offs was the lack of oxygen in the water created by hot summer temperatures and algae blooms from the agricultural runoff. In other words, the fish literally drowned. As the tilapia perished, the birds that ate them contracted avian botulism. Since then, the rate of bird and fish deaths has slowed. 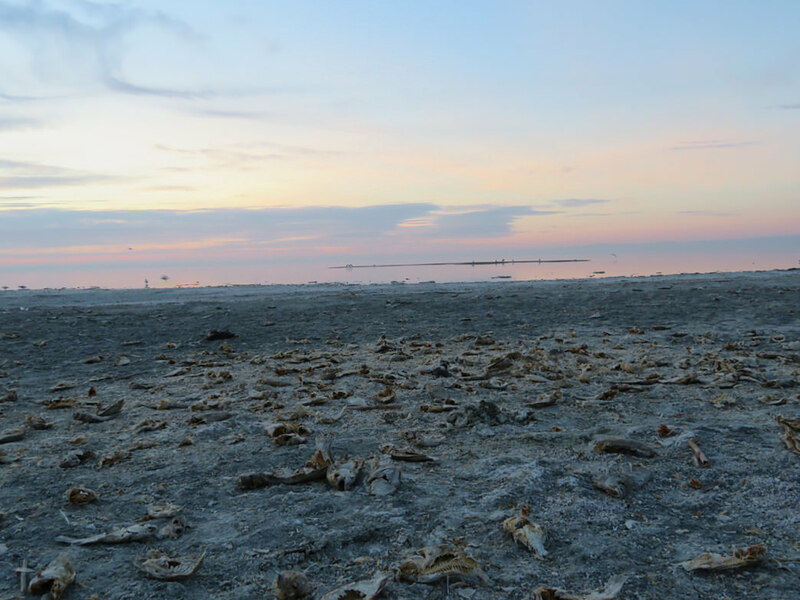 Remarkably, there are still an estimated 300 million tilapia in the Salton Sea today. The human population around the Salton Sea, however, isn’t so lucky. As the shoreline shrinks, pollutants from the playa enter the air when the wind blows, posing a health risk to locals, who see respiratory problems like asthma. Scientists estimate that if the sea keeps drying up at its current rate, 800 acres of playa will be exposed each year. Meanwhile, advocates for the Salton Sea struggle to get federal funding, and residents who call the area home feel ignored. 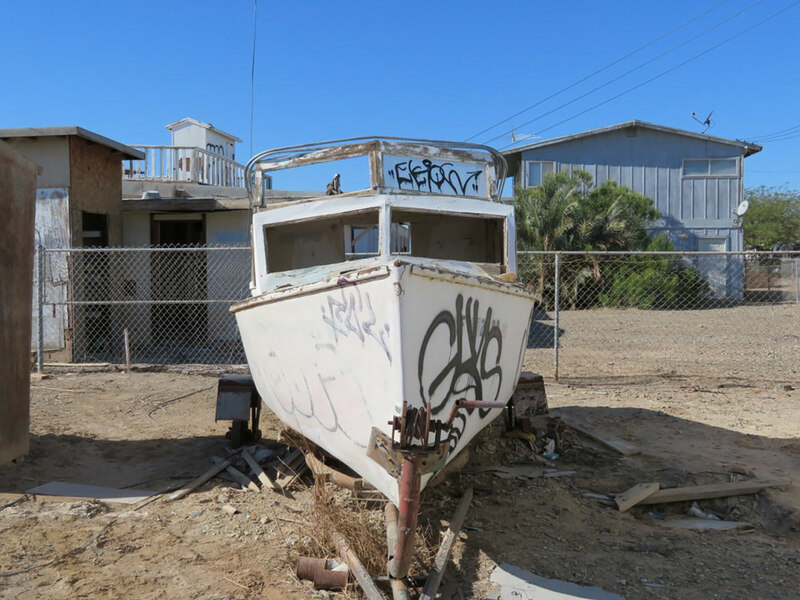 On a recent trip to the Salton Sea, I drove to Bombay Beach, a town of about 250 residents on the eastern shore of the lake. Temperatures rose to almost 110 degrees, and the blinding sun beat down on a discarded boat by the water. 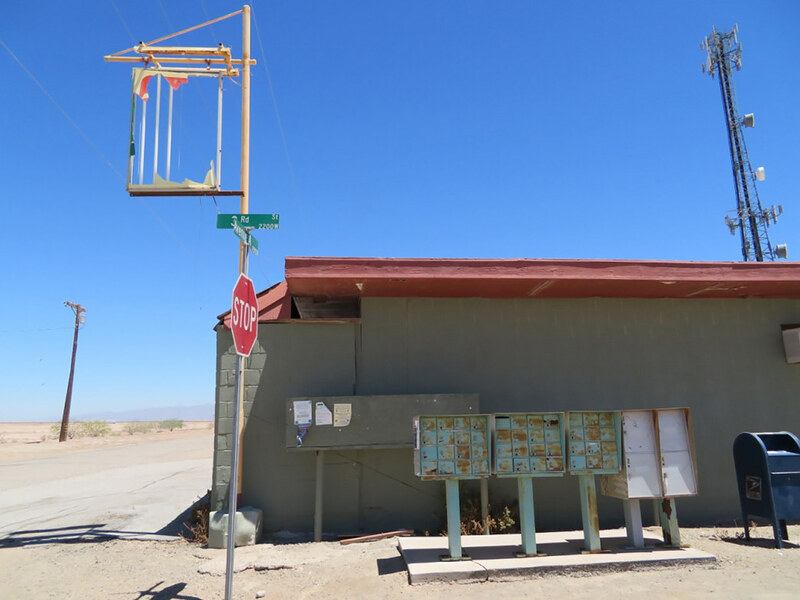 I stepped into the Ski Inn, the lowest bar in the Western Hemisphere at -223 feet below sea level and one of the only remaining businesses in Bombay Beach, looking for answers and a stiff gin and tonic. “Are you here for the meeting?” Scheherazade Jones, the bartender asked, sliding a flyer my way. In just a few hours, representatives from the state would arrive to explain the 10 year management plan for the Salton Sea to residents. 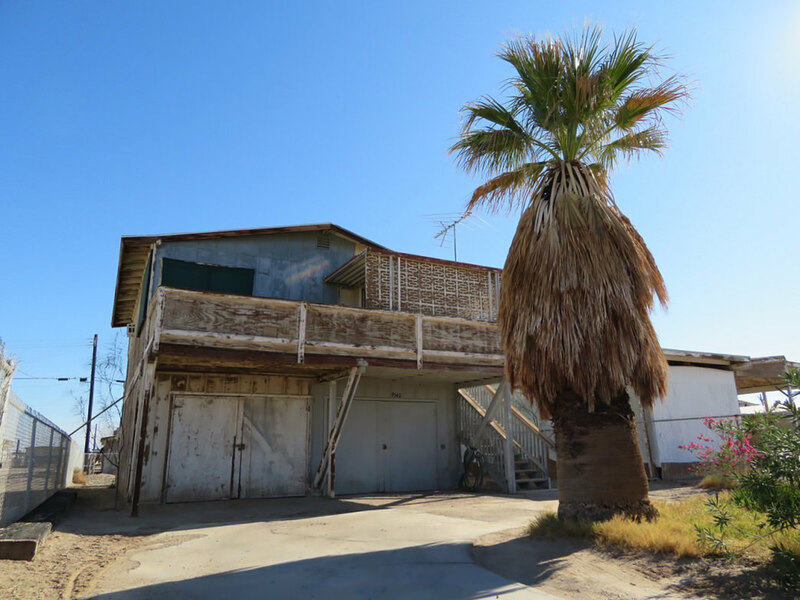 As we waited together, Jones pointed to a far window of the bar where staff used to sell ice cream to beachgoers during the Salton Sea’s heyday. She showed me a black and white photo of a man hoisting up a fish the size of his arm. In the dim light of the bar, underneath a ceiling lined with dollar bills, the meeting began. Bruce Wilcox, Assistant Secretary of Salton Sea Policy, pointed to a map of the Salton Sea and failed to identify the location of Bombay Beach. The residents were visibly tense. As the meeting went on, it became clear that the state’s 10 year plan was focused on preserving the bird population and nearby agricultural interests. “I can’t fly out of here like the birds,” she said. The response was disappointing. Wilcox discussed dust mitigation but admitted there were no concrete plans for adding water. Desalinization, he said, is too expensive and plans for importing water from the Sea of Cortez require unlikely assistance from Mexico. The meeting went on for a few hours, with the residents of Bombay Beach pleading for empathy while the representatives from the state fidgeted in their seats and responded with band-aid solutions. And when it was over, the bureaucrats left the Ski Inn, got in their cars, and drove away, thinking that they had helped. The Salton Sea faces an uncertain fate. Those who love it dream of a future where water levels are high, salinity is low, and tourists have returned to the sea to fish, sunbathe on boats, and dive into the water. While the current plan offers little hope for that vision, Salton Sea locals aren’t giving up on fighting for the place they call home. Before I left Bombay Beach on the day of that meeting, I asked Jones about what other people might do to advocate for the Salton Sea, people like me who live in big cities but want to understand the challenges of a community poised on the edge of the vanishing lake. “Come visit us. Come see what we’re about,” she said. As a I drove away from the Salton Sea, past the harbor of the North Shore Yacht Club, where brown pelicans dozed in the sun while a newborn flock of ducklings paddled in the water nearby, I thought of the last thing she told me.